As I reflected on what I wanted to say in my annual New Year’s Letter, I reviewed recent letters from the past few years, and clearly saw some recurring themes some of which are: Vision; Valuing Time; Structure; Goals; Conscious Awareness… I also recognize that as I grow older, I personally deepen in the Work. Therefore, it was interesting for me to recognize these themes that have been woven throughout my narrative were not redundant for me, rather more depthful. They have evolved as I have. It also got me thinking about why I take on this task in the first place. First of all, I am a Teacher. Teaching requires me to be my best. I cannot ask others to do what I myself do not do. I teach because I am compelled to. Whether I am teaching Communication Mastery, singing, leadership, broadcasting…I am always teaching the same Work—How To Be Who We Are. With my birthday this month, I turn 70 and this birthday marks the 52nd anniversary of Vocal Awareness. In the 50+ years since I created Vocal Awareness, I have been privileged to teach all strata of society; all demographics/age groups. My youngest student was a toddler; my eldest, a centenarian. I have taught world-famous celebrities and athletes, and leaders of global companies; at universities; lectured around the globe; created a choral group on Skid Row in Los Angeles; and holocaust/cancer survivors and so much more. I also realize I write these letters for their symbolic value. It is important at key times in our lives to take stock. Obviously in our calendar year, the New Year is the perfect opportunity to do so—to evaluate who we are, where we are on our Journey, what we want to do, whether we are fulfilling our goals and aspirations or where might we be coming up short, looking at whether we are afraid to embody who we are capable of being, or where and how we have been successful and how we can continue enhancing our success. In doing so, we create yet another opportunity to recalibrate, redesign, reset. Also, ‘this exercise’ confronts us with two critical elements in our lives that we are often not cognizant of or do not utilize to our full advantage. One, as I previously said in other writing, is Choice. Everything in life revolves around two things, to choose to do something or to choose not to. It never matters how daunting it may seem, all that matters is how badly we want it. Even in abdication, we have made a choice by walking away. What I encourage you to think about is does that choice empower or disempower. The other principle which I wrote about in 2011 is the importance of time…The most valuable commodity in life is time. When it is gone we never get it again. Incorporating these two ingredients into a recipe for our success is critical. To support our own fulfillment we do not want to squander a moment. In that regard many years ago I created a matrix that I call 168 hours. It causes us to reflect on how we spend our week. It helps us to both structure time and make the most effective choices possible. In turn, we learn to better understand how to live a life of personal/professional fulfillment/balance. The Vocal Awareness axiom that supports this states… Structure does not impinge, it liberates. Freedom without direction is chaos. How I incorporate the importance of time and choice in my own life is reflected in how I personally balance and artistically and professionally dedicate myself to both my Vision and my Mission. My Vision is to change the world through Voice. My Mission Statement is to help all those I work with to achieve their own enlightenment and enjoy their own empowerment. What is your calling? How do you fulfill it? Continuing and quoting from my book, This…insight evokes a piquant truth…The dedicated effort and ceaseless commitment required to passionately pursue, not self-discovery, but discovery of Self is what I respectfully encourage that you commit to undertaking in 2016 and beyond. This life we live, as I say to my students all the time, is not a ‘dress rehearsal’. The Journey is not for the faint-of-heart. It takes true courage to live life to the best of our ability on our terms. I fervently hope that this humble missive strikes a chord—and supports and encourages you to not squander time, to fulfill your Vision, to live your life as earnestly, as passionately and joyfully as possible. I am also taking the liberty of including for the first time, New Years letters from the previous five years which follow. My hope is that they will provide a better perspective and additional tools to help you build your Master Plan. May this annual letter and the letters that follow reinvigorate, help you re-learn, and re-commit to your Self. Not a member? 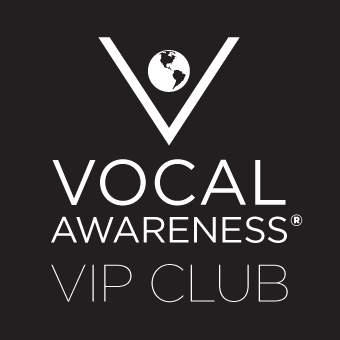 Join our Voice Is Power (VIP) Club today.